Call your local, independent insurance agency today and get personalized attention from someone who will take the time to understand your family's unique goals and budget. Call your local agent now and get a quote today. My husband Jim and I have been customers of Insurance Illinois Securities for 10 years collectively. Meghan Pfaff has guided us safely through insuring teenagers, homes, rental properties, boats and more. It's Meghan’s personal attention to detail that we appreciate the most; her responses are immediate and personal. In this automated world, how refreshing is that? I would absolutely recommend Meghan Pfaff at Illinois Securities for all your insurance needs. A couple years ago we decided the prices were too high with our current insurance company. A friend had been happy with Meghan at Illinois Securities. We could not be happier! She shopped around for us and found us great coverage for a much lower price. Meghan is professional and so nice to deal with. I would highly recommend you let her give you a quote. Meghan is great! She always puts in the extra effort to find me the best deal on insurance and still makes sure I am completely covered. I highly recommend her for all your insurance needs! We don’t take a one-size-fits-all approach because life insurance is personal, and your needs are as unique as you are. At Insurance Illinois Securities, our life insurance agents take time to fully understand your personal goals, your family’s needs and your unique financial situation, now and into the future. Taking the time to get to know you means you’ll have peace of mind and security for your family, as well as an insurance plan that meets your unique needs. Our agency is very involved in the Joliet community and with many local organizations because we want to see our area continue to grow and thrive. If you already are a client of ours, you know that we truly care about what we do for each person and their families. If you have never experienced our personalized service, call anytime for a free, fast, and easy quote. We started in 1920 as Woodruff Securities founded by Ted Woodruff and Louis Peyla Sr. as a brokerage firm. In the 1950's Peyla's sons, Charles and Louis Peyla, joined the business adding insurance services. In 1978, our business became Insurance Illinois Securities. 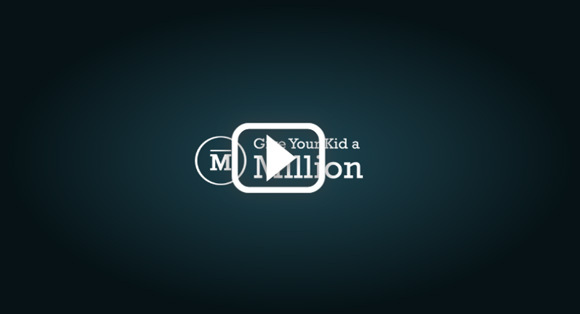 Joliet, IL As a Give Your Kid a Million licensed independent insurance agency in the Joliet area, Insurance Illinois Securities employs independent life insurance specialists to find you the lowest rates with high quality life insurance companies. Shorewood, IL Shorewood is a village in Troy Township, Will County, Illinois, United States. The population was 7,686 at the 2000 census, and estimated to be 15,615 as of 2010. Romeoville, IL As a Give Your Kid a Million licensed independent insurance agency in the Romeoville area, Insurance Illinois Securites employs independent insurance specialists to find you the lowest rates. Plainfield, IL Plainfield is a village in Will County, Illinois, United States. The population is estimated to be 42,183 as of 2015. The village includes land in Plainfield and Wheatland townships. Part of Plainfield is located in Kendall County.